Make the cardio machine more challenging and dynamic. There’s a lot to love about the elliptical. It’s low-impact, versatile, and easy to pick up. It’s a cardio machine that can go head-to-head with the treadmill, yet many still deem it boring and ineffective. (Hint: It’s not.) If you find yourself in the camp that wants to make the elliptical more challenging and dynamic, look no further. Here are five ways to make elliptical workouts harder. As with many other workouts (see: push-ups and running), you can change up an elliptical workout to make it interesting and more difficult. 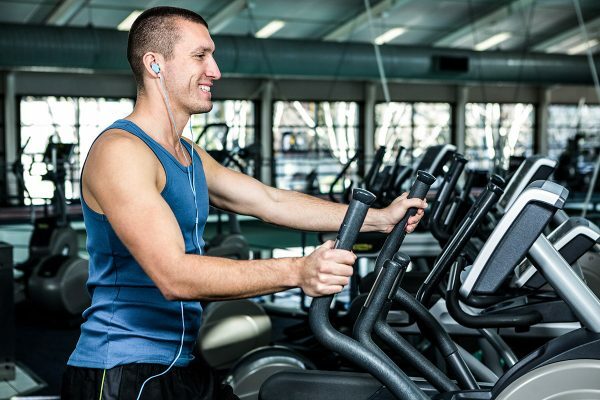 As long as you know how to use the machine, you can make elliptical workouts harder. Two settings you should be able to adjust on every elliptical, no matter the model, are incline and resistance. 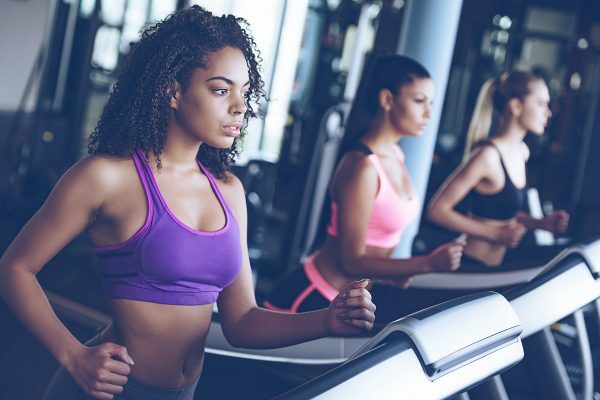 Like on a treadmill, bumping up the incline will make a major difference in your workouts—you’ll be targeting your glutes and hamstrings, as well as getting a more intense workout in without changing the speed or resistance. Increasing the resistance, on the other hand, will amp up your exertion, heart rate, and oxygen intake, all while building cardiovascular strength. The makings of a killer sweat sesh, if you ask us. Those aren’t the only ways to vary your elliptical routine, though. Try backpedaling to fire up your quads, hills for constant change, sprints to push at your maximum effort, and hand weights for an on-and-off machine routine (such as “CURLliptical”). With enough research and creativity, you’ll never run out of possibilities. Don’t simply set your elliptical on an incline or a high resistance and stay there. For a workout that’ll prevent you from getting comfortable (read: bored), always include intervals. There are two types of interval workouts—LIIT (low-intensity interval training) and HIIT (high-intensity interval training). Both styles have a series of intense exercise periods followed by slower recovery periods, but a LIIT workout has an intensity that’s less than a sprint and longer recovery times. If you’re newer to the machine and have just figured out all of its settings, opt for a LIIT routine (try “Form-Focused Ellip”). Been there, done that? Go for HIIT. It can bump up your calories burned and give you a temporary metabolic boost post-workout. Mix it up with incline intervals, hill intervals, or endurance HIIT (as seen in “The Long Haul”). Use the handlebars correctly (or not at all). We see it often with the stair-climber, and the same can be said for the elliptical: Handlebars make it tempting to slack off. While holding on to them, you may lean forward, which forces your legs to do all the work. This can make your workout feel easier (and your legs are working harder), but the truth is that it’s not. Slouching forward isn’t going to do you any favors. In fact, it actually downgrades your workout. The goal isn’t to make your elliptical time easier, is it? No! Plus, the handlebars aren’t there to do that. In order to complete a real full-body sweat sesh, stand upright and push and pull the handles with intent. Pull your shoulders back and engage your abs, which guarantees that your arms are putting in work. You can also opt to not use the handles at all. Forgoing them requires total body balance and keeping your core engaged. 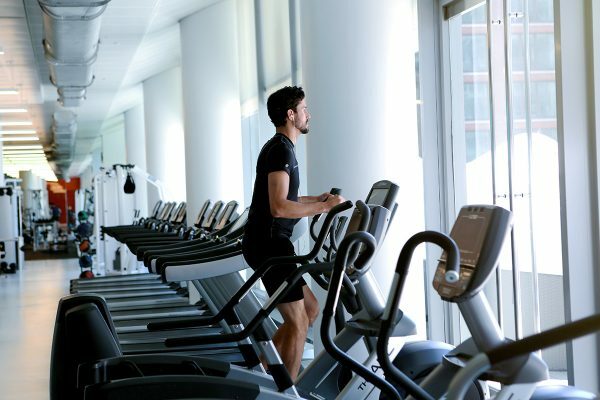 Just because ellipticals are easy to get the hang of doesn’t mean you should zone out. The second you stop focusing on your workout is likely the second you fall into a slow, steady pace that prevents you from feeling challenged. In short, it’s self-sabotage. Although diverting your attention to emails or Pinterest may make your workout feel less monotonous, it’s actually ruining it. It puts you at risk of hanging on to the handlebars to compensate or moving at a snail’s pace. If focusing on your routine makes it harder, great! That’s the whole point. Each workout should consist of challenging yourself, listening to your body, and pushing it to its limits. That’s why we recommend tuning in to your routines and making music your ally. Music, unlike a book, phone, or TV show, will keep you entertained without sacrificing your full attention. It can also improve performance, boost motivation, and allow for better pacing and recovery. One of the biggest mistakes people make in the gym is stepping on a cardio machine, pressing “GO,” and expecting a foolproof, body-blasting workout. Simply put, this is not the case. By setting a goal—be it for distance, METS (metabolic equivalent, or intensity), or RPM (rotations per minute)—you’re more likely to work hard and focus throughout the routine to reach it. If you start slacking somewhere in the middle, you have to make up for it by the time your workout is over. Fitness is built on personal goals, so start making yours today. Welcome to your complete guide to the elliptical machine. What Exactly Is The Fat-Burning Zone? We ask two professionals if the fat-burning zone is fact or fiction.